With the recent release of my new book The End of Diversity as We Know It: Why Diversity Efforts Fail and How Leveraging Difference Can Succeed I thought it would be valuable to reiterate some of the key leadership points by posting this piece that the Darden School did in their “On Thought” series last year. • Strategy first (and I don’t mean diversity strategy). The greatest challenge that diversity professionals grapple with (and HR professionals, too, incidentally) is having command of the business’ strategy. This is important because doing diversity right requires an enterprise view—not just a talent or HR management view—of the company. The starting point for doing diversity well is having the same understanding of the business strategy that a senior line executive has. That way, exploration of how difference can make a difference is well aligned with the purpose of the company. This step has two powerful implications. First, any activity that is well aligned with the business strategy is much more likely to last! 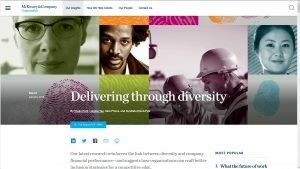 If you are looking for sustainable change in diversity, this is where to start. Second, and more challenging, is that this means that the common diversity agendas, like closing racial or gender disparities, may not be the most important work for an organization to do. Instead, their focus may be on greater diversity of educational background, or age, or level of divergent thinking. The best diversity work comes from following the business strategy. • Let all differences matter. The corollary to the “strategy drives diversity” principle is that the menu of differences that can be pursued is big. In the U.S., the “rule of 7 to 11” has traditionally applied to diversity initiatives. Diversity activity is restricted to incorporating roughly 7 to 11 traditional types of differences into the mix: race, gender, ethnicity, sexual orientation, able-bodiedness, age, religion, etc. But in leveraging difference, leaders get to step back and explore what differences really matter to achieving the organization’s goals and what differences don’t? 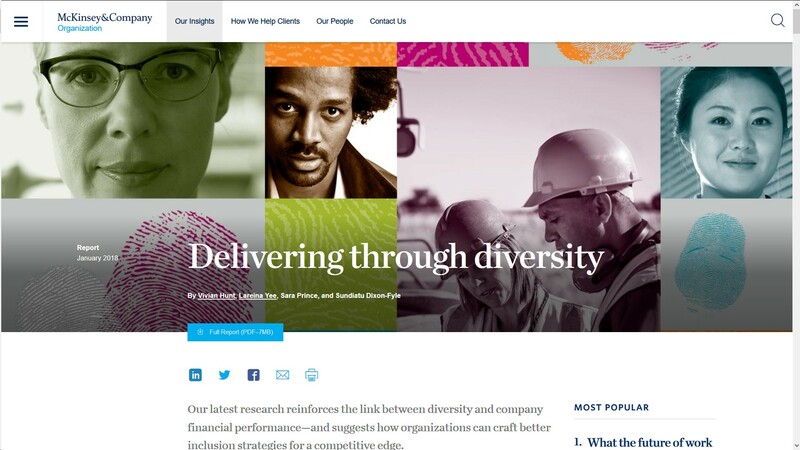 If learning style diversity is more important for a consulting firm’s success than gender diversity, it’s legitimate to pursue the goal of integrating people with diverse learning styles as the primary diversity agenda. Here’s the caveat. Across the world, I continue to see one powerful reality for doing difference work: there is a tremendous amount to be learned from dealing directly with societal “hotspots.” Those differences that are most charged and contentious in a society are the most fertile ground for learning how to leverage difference. It’s hard to build a personal competency and an organizational capability for engaging difference if you aren’t willing to deal with tough differences directly. • Be a leader who sees the larger goal. To be the driver for leveraging difference, you have to clear your head and heart. What undermines sustainable difference work is the difficulty people have in subsuming their personal and emotional agendas to what is best for the whole organization. Diversity resistors are convinced that diversity is bad and they adamantly refuse to attend to the irrefutable evidence of the benefits that diversity—skillfully engaged—provides for their organization. Diversity proponents often avoid dealing with the legitimate discontent expressed by the executive I quoted at the beginning of this post, and advocate for—and bully people into acquiescing to—a diversity agenda. Both of these stances destroy the opportunity for the value of difference to be realized in organizations. Leveraging difference leaders take a realistic view of where and how difference helps and then drive that message through the organization with meticulous analysis, social adeptness, and the boundless energy that derives from doing work that really helps the organization do better and be better. Jim Collins identified the “Level 5” leader who “builds enduring greatness through a paradoxical blend of personal humility and professional will.” That same blend is critical for anyone who wants to leverage difference.